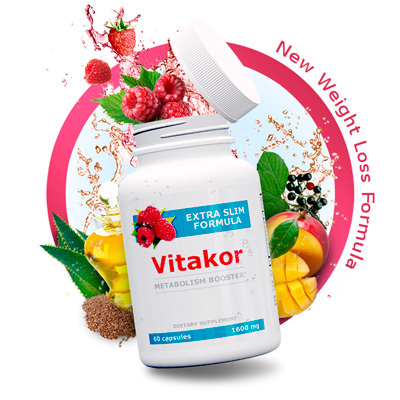 For the best results, you can combine Vitakor with Sletrokor weight loss pills and Meal Replacement shakes. 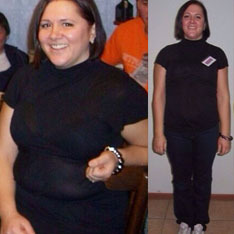 Get results or take advantage of our Money Back Guarantee. It's that simple. 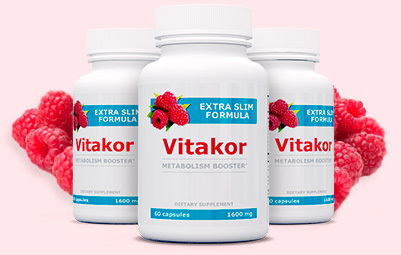 What ingredients make Vitakor effective? African Mango It is loaded with B vitamins, which increase the metabolism rate so your body can burn calories faster. Cascara Sagrada Cascara Sagrada works as a laxative and can also be used to treat mild jaundice. 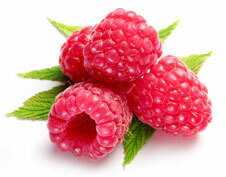 This herb is especially beneficial to the digestive system. Flax Seed Oil It has a high fiber content that helps you restrain your appetite while helping you feel fuller. Fennel Seed Fennel seeds are used often as a digestive aid and diuretic, it also helps relieve bloating and reduce abdominal distension. Pumpkin Seed They are rich in antioxidants, which are needed to maintain a smooth complexion and slow the signs of aging. Cape Aloe Cape Aloe is a natural cleanser, rich in antioxidants and it also supports a healthy, balanced digestive system. 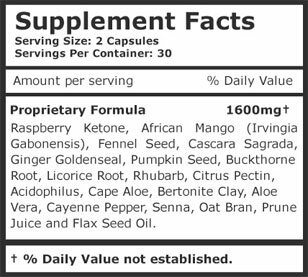 It also contains high levels of antioxidants, this may help to improve immune system function and protect against the effects of aging. 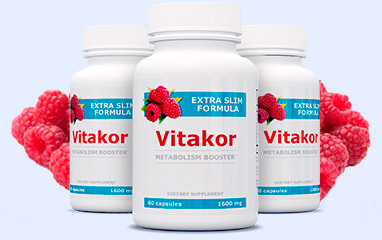 Vitakor is produced with the highest quality of ingredients in a GMP certified laboratory. 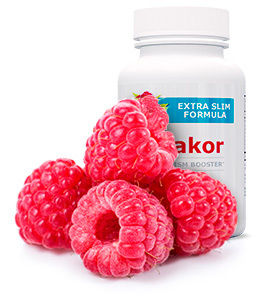 Don't give up on losing weight, you've finally found the solution! Alert: Vitakor has sold out in all stores. As of April 19th it's available online only. 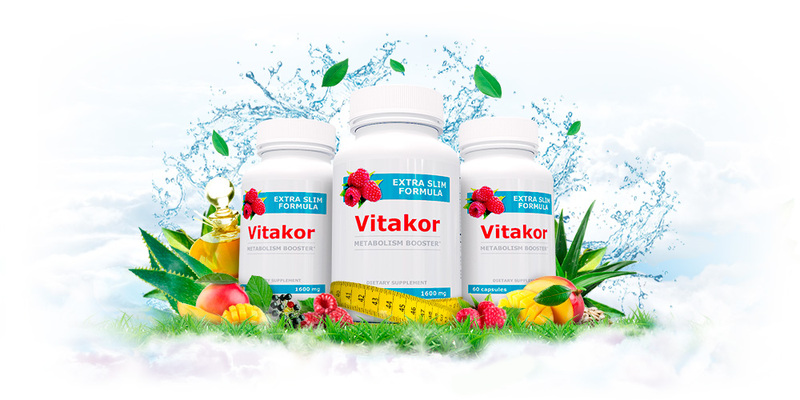 We are very confident in our product because it was developed by a group of nutrition enthusiasts and weight-loss specialists. 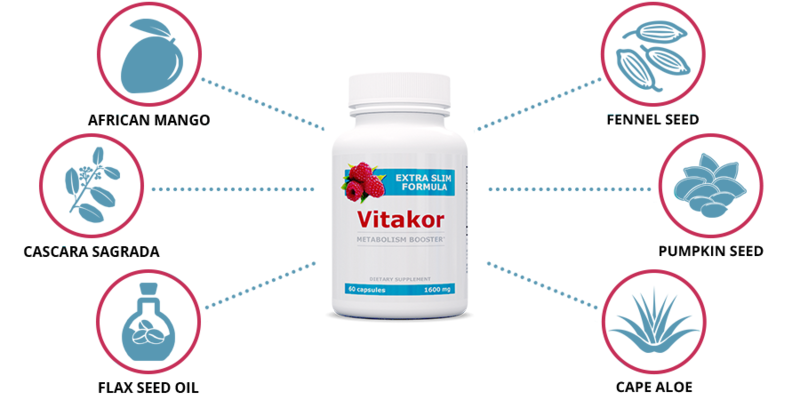 Years of hard work gave us the perfect balanced Vitakor that we are proud to sell. 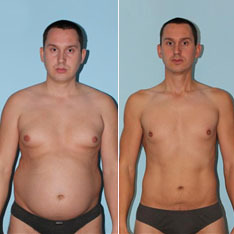 If you are not satisfied with your weight loss results, you can take advantage of our Money Back Guarantee! 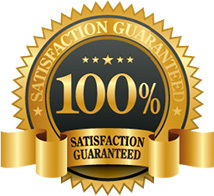 Yes, we offer a 30 day Money Back Guarantee guarantee. No, we do not have auto-shipments only direct sales. You buy more to save more. It will last you one month. © 2019 Vitakor. All rights reserved.